There are girls that you can’t overlook. Because these girls have such an eye-catching look, like Laura. She’s probably one of our favourite new faces at the boards from several well known agencies. 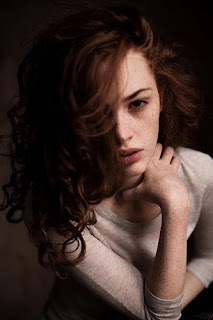 Laura stands definitely out with her special features and her curly red hair. 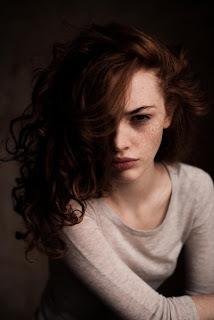 She has a well formed face, lovely freckles, blue piercing eyes and a gaze, which is to describe with melancholy and softness. Laura has a silhouette of 175m. (80-60-90). 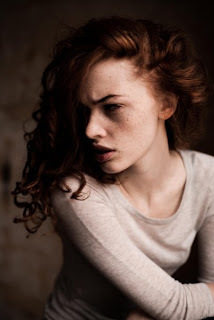 She’s with Just WM in Paris and was discovered by My Models in Luxembourg. Have a look on her single pictures, which were done by Marc Laroche. Laura’s attitude and expressions are huge. There is no single doubt in her. It’s just the beginning of a brilliant future with Laura.